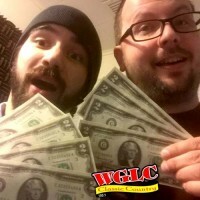 How to Play: Listen to WGLC. Call in when you hear the contest sounder, and be the caller number designated by the on-air announcer to participate. Caller must correctly answer the riddle to win. Winner receives a 2 dollar bill.